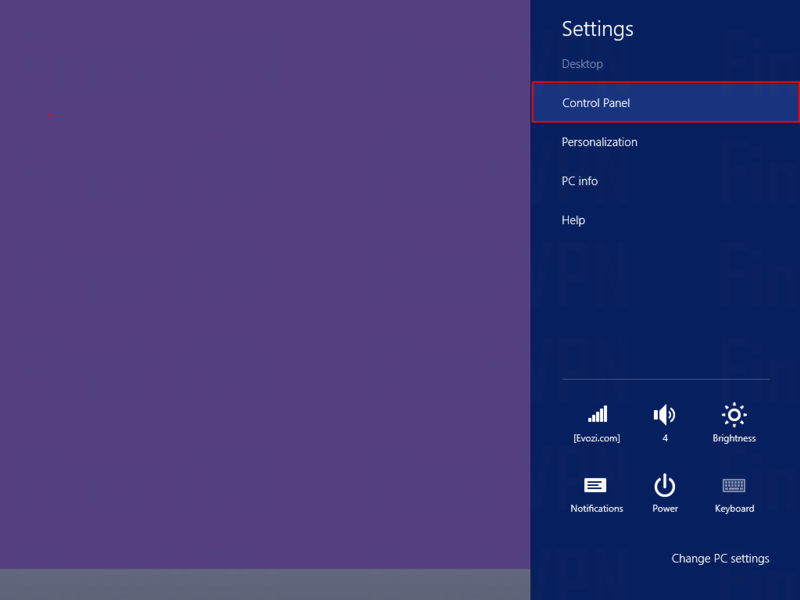 This guide describes the configuration of a PPTP connection on Windows 8 using the Operating System's built in client. Move your mouse to the lower right hot corner to display the Charms Bar. Select Settings. 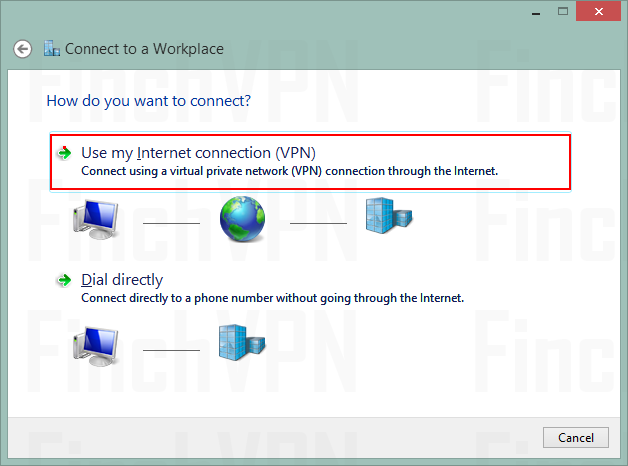 Choose Use my Internet connection (VPN). 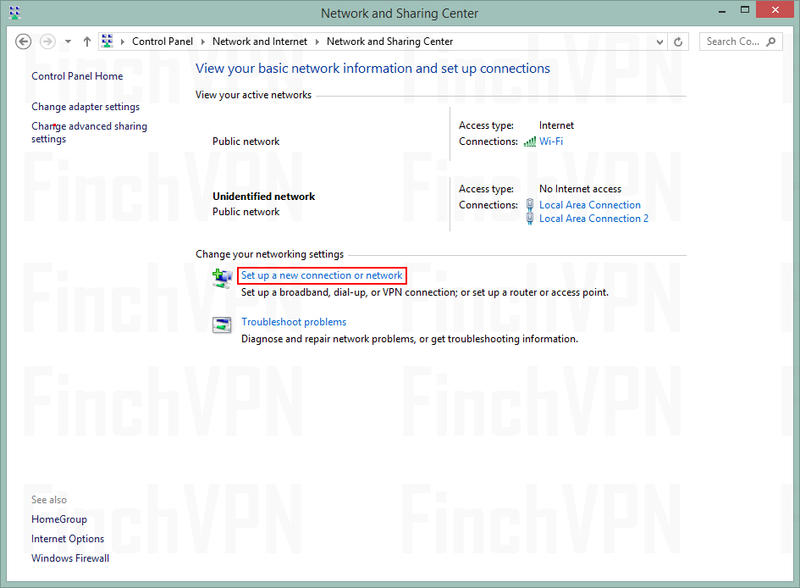 Your already active Internet connection is used to establish a new one to IPredator. 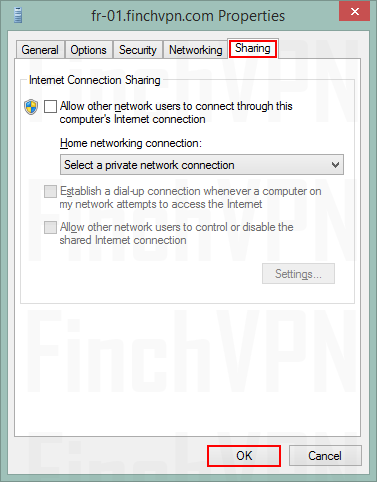 Right click on FinchVPN PPTP that you newly created just now and click properties from the context menu. 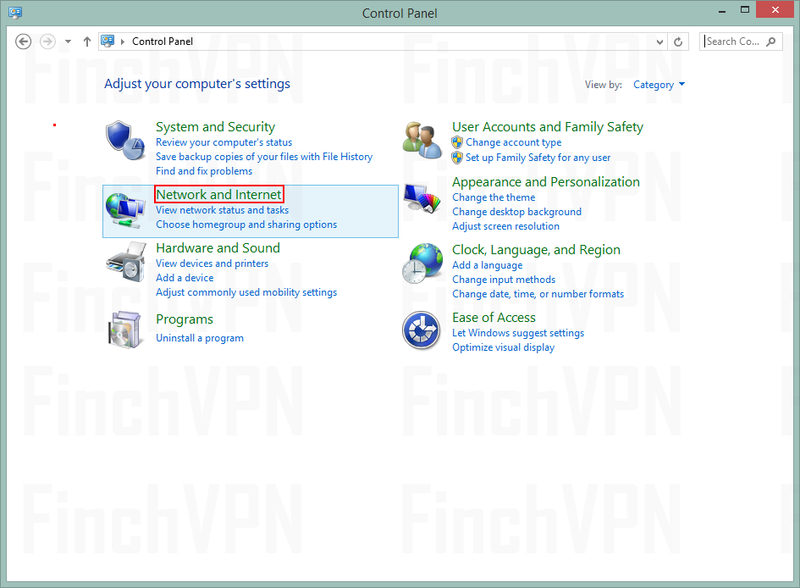 In the General tab, The Internet address to connect to is depends on which server you wanted to connect to (Eg fr-01.finchvpn.com for France 01). Click the Options tab. Check Remember my credentials. 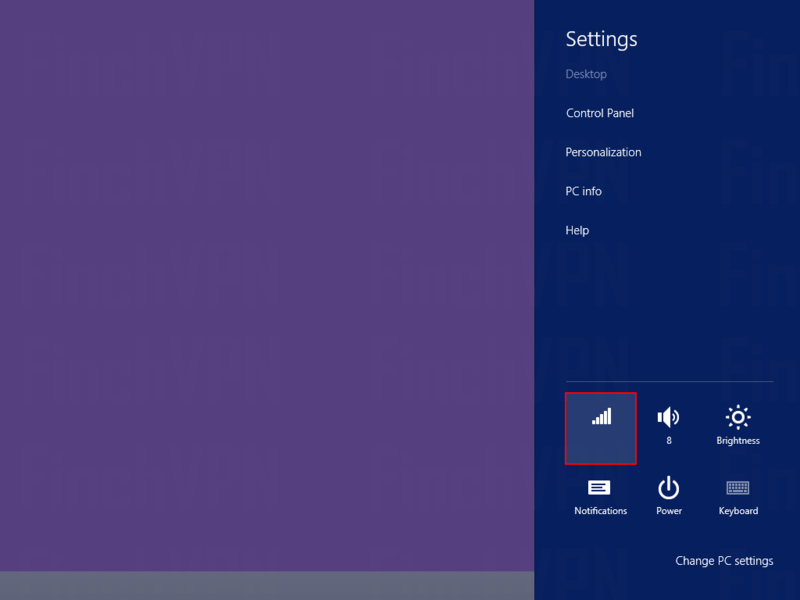 Click PPP Settings. 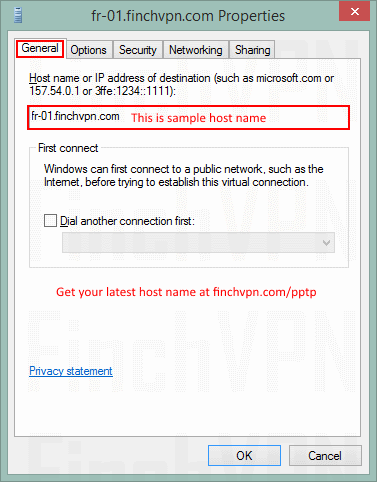 Change the Type of VPN to be PPTP VPN, so the client does not probe for different kinds of VPN. 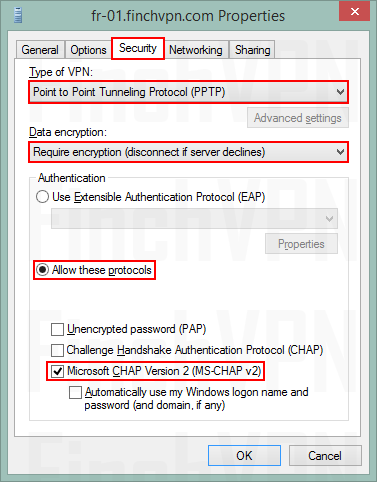 In the Authentication context, make sure to have only Microsoft CHAP Version 2 (MS-CHAP v2) selected. 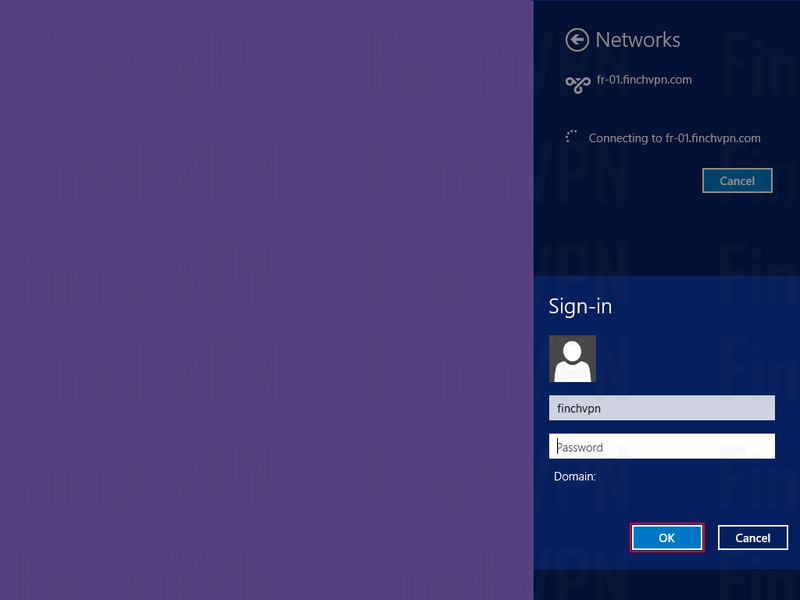 On Windows 8, Challenge Handshake Authentication Protocol (CHAP) needs to be deselected. 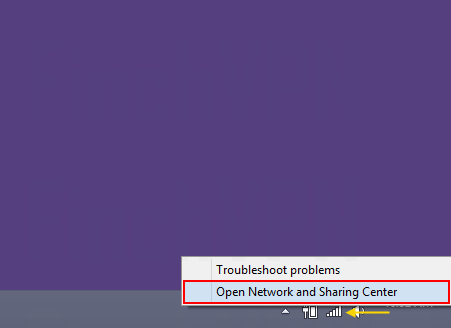 Switch to the Networking tab. 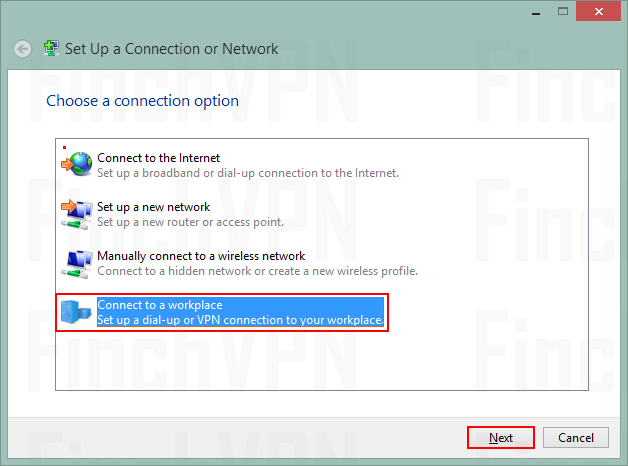 If you like to make your FinchVPN connection available to other users available on your machine, check the corresponding setting. 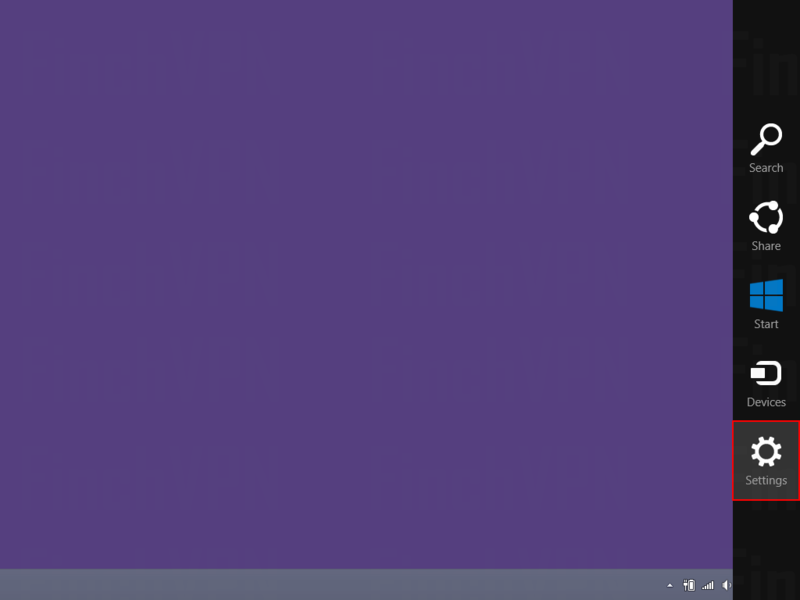 Otherwise, just close the dialog window by clicking OK and return to the Desktop. 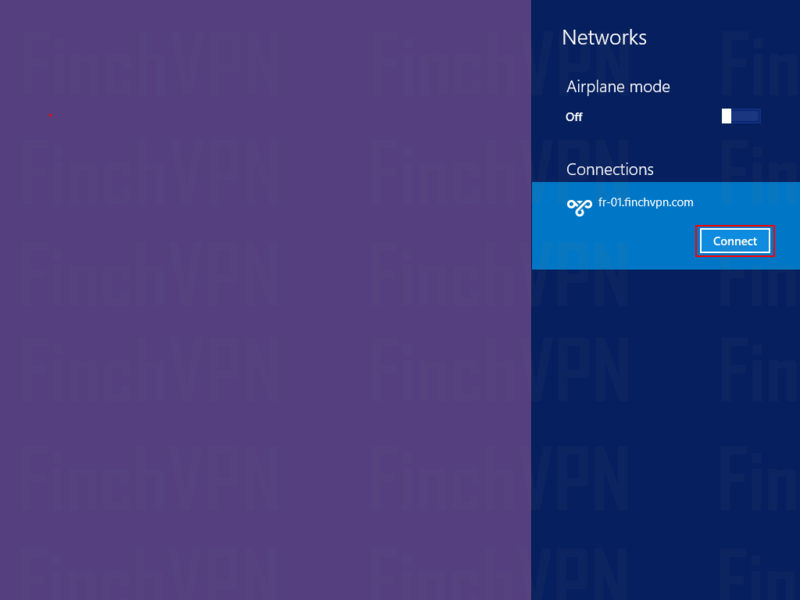 If you enable Internet Connection Sharing your setup might need extra tweaks to make it work. 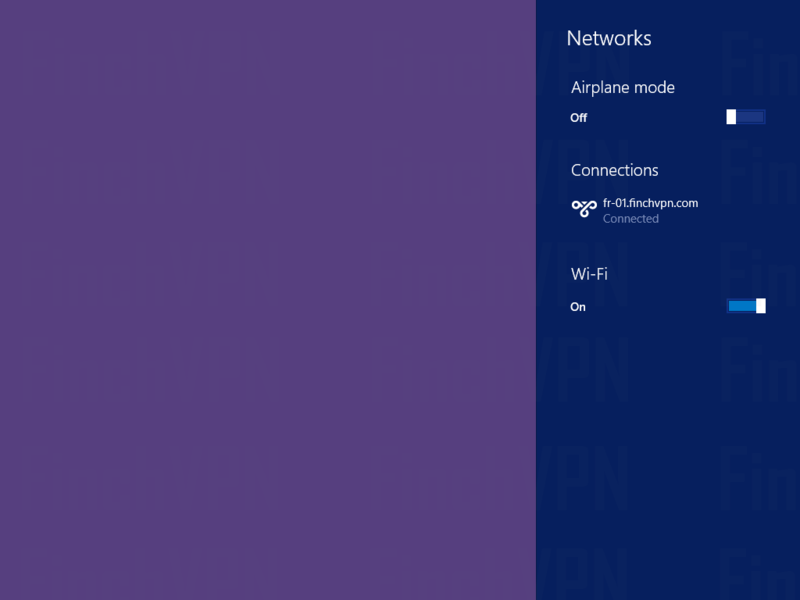 Now it is time to bring up your newly created network connection. Move your mouse to the lower right hot corner to display the Charms Bar again. Select Settings. 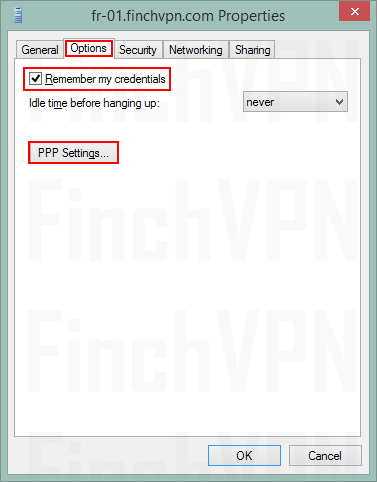 Click FinchVPN PPTP that you just created. 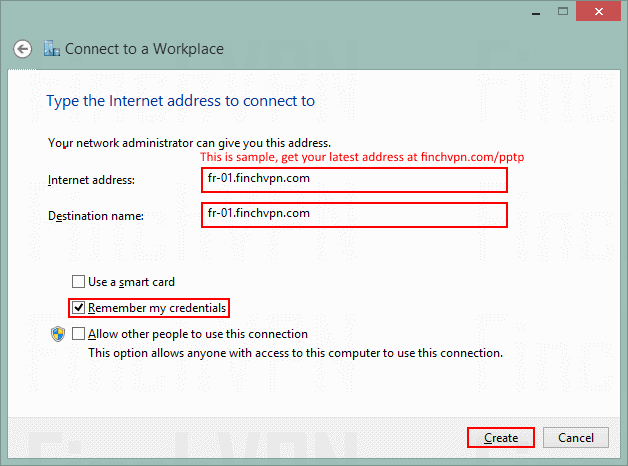 Enter username and password in the Network Authentication dialog and click OK.